In the latest scandal to rock President Obama’s controversial executive amnesty initiative, a known gang member charged with murder and drug-related crimes was shielded from deportation under the administration’s Deferred Action for Childhood Arrivals (DACA). The illegal immigrant’s name is Emmanuel Jesus Rangel-Hernandez and he was in the process of being deported when U.S. Citizenship and Immigration Services (USCIS) shielded him from removal under DACA, even though the agency knew he was a member of a violent street gang. USCIS was also aware that Rangel-Hernandez had been arrested in 2012 for possession of drugs but rubber-stamped his amnesty petition anyways last August. Due to massive government subsidies given to farmers to grow genetically engineered crops in the past, U.S. food manufacturers and farmers are now being caught blindsided by the sweeping demand for non-gmo and organic crops. In a twist of irony, this is driving a massive increase of organic crop imports from nations that are largely free of bioengineering. 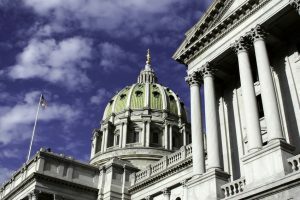 With the growing public demand that something be done about the oppressive Real Estate Tax burden being felt by the people, some of our elected Pennsylvania Senators and Representatives say its not a problem. Check out how many tax liens are on the books in our Commonwealth and you decide. WASHINGTON, D.C. – A veteran educator says parents can thank Hillary Clinton for the Common Core national standards that have been thrust upon schools across the country. Even though most people probably believe that Common Core was developed during President Barack Obama’s term in office, the foundation of the initiative goes all the way back to the 1980s, reports veteran educator and now-commentator Donna Garner. It’s settled, the fact is a fact, good or bad; Emmaus Council just signed the contract to purchase a former Rodale office building located at 33 East Minor St. This commits the taxpayers to a potential $6,000,000 towards this Councils dreams of moving the borough offices and for some questionable reasons all the emergency services as well. The present council wants to consolidate all government functions at one location by moving the ambulance, fire and police emergency services and offices to this facility that has only one entrance point and two major traffic restrictions. You heard right! Emmaus Borough Manager, Mr.Pepe, is saving Emmaus almost $1,000,000/year. in expenses on an ongoing basis! How is that possible you ask? Well, read on and find out just how easy it was. About three years ago the first step to this amazing accomplishment took place with the hiring of a new Borough Manager, Mr. Shane Pepe. Interestingly, he was Borough manager of Berwick, PA where in his first year he helped them go from needing to borrow money to make ends meet, to having cash reserves of $600,000; all this in a PA borough comparable in size and population to Emmaus but with only an operating budget of ~$4,000,000 yr. They also have full time Fire and police!